Christmas Day is approaching. Every organization, every company, every family and everyone has its way to celebrating Christmas Day. For family, they will buy some surprising gifts for each other. For companies or stores, they will prepare big discount, generous gifts and vouchers for their new and clients. Router-switch.com is no exception. 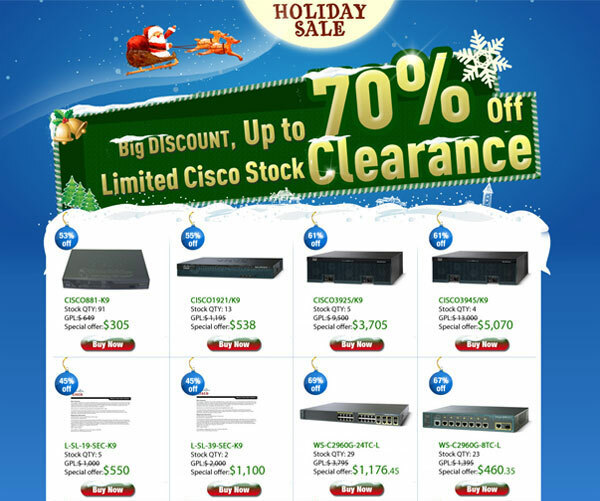 It offers a big discount for buyers who buy Cisco equipment, up to 70% off. So if you wanna buy Cisco hardware (also can choose it as a gift for your friends), why not get this chance.